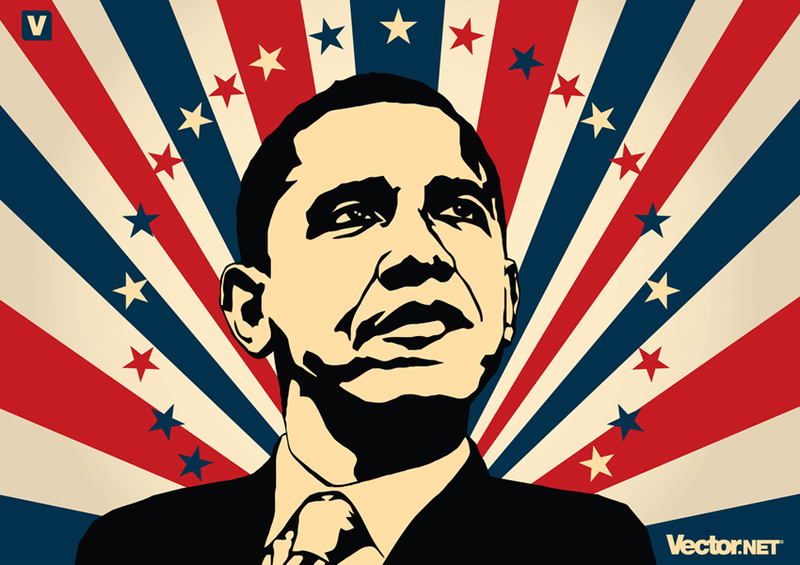 Free Obama vector art poster. Vector illustration of 44th US president Barack Obama on red and blue stars & stripes USA flag background. Cool pop art vector portrait of President Obama. Vector stock footage of Obama for your website, blog, graphic design, illustration or t-shirt print project. Asher Lane for Vector.net.